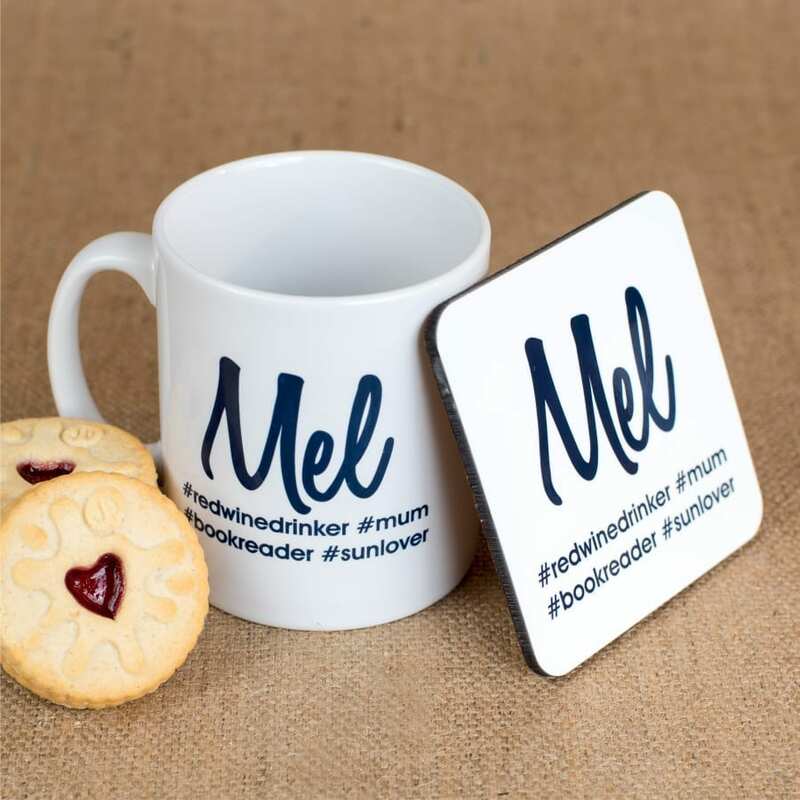 Looking for a funky yet useful personalised gift? 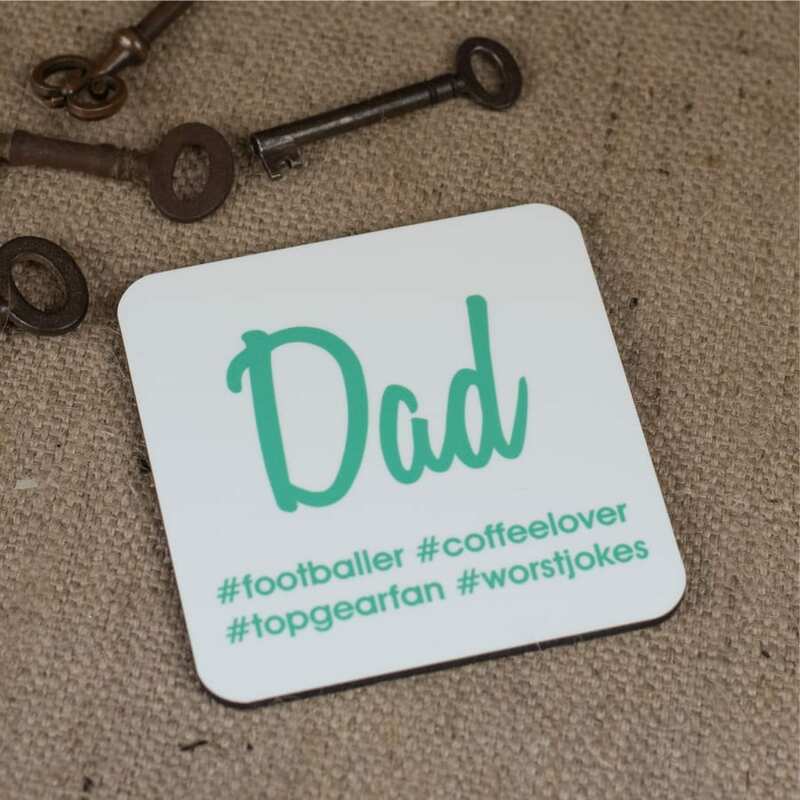 Our personalised hash tag coaster is bound to be popular with any social media fan. Makes a really great gift for Birthdays, Christmas, Father's Day, Mother's Day, Stocking Fillers, Teacher present, in fact suitable for almost everyone. 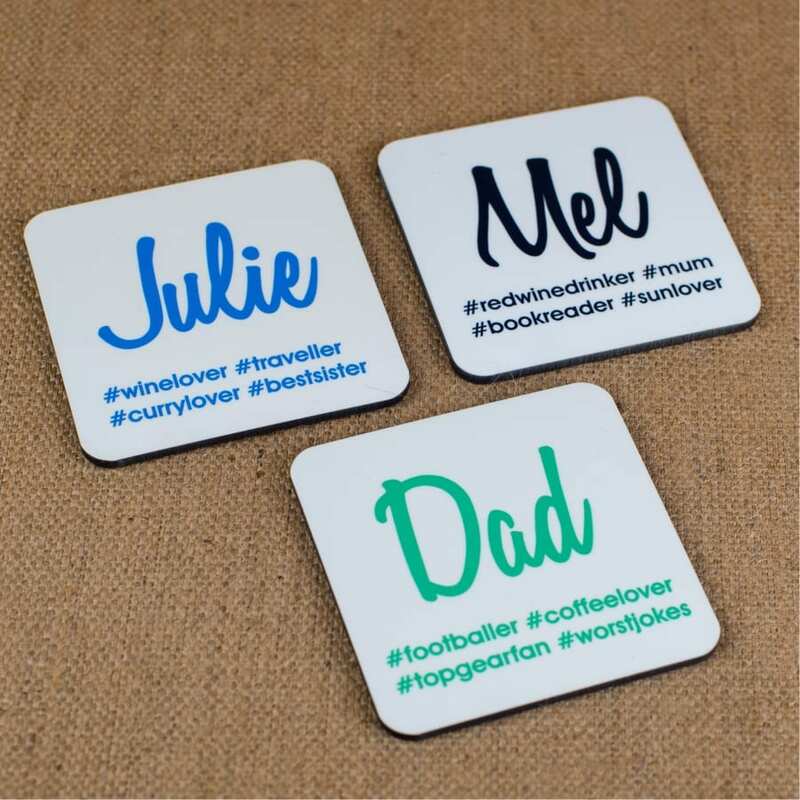 The personalised hash tag coaster comes with your chosen name and then you have up to 6 hash tags to describe this person ( #mum #dad #sister #winelover #bookreader #zumbafan etc). Try to have a mix of long and short hash tags. Funny and serious work well. Certainly a talking point and you can be sure that this is one gift that is going to be used not just shoved in a drawer never to be seen again. Better than another pair of socks. Coasters measure 95 mm x 95 mm, cork backed, heat resistant and come with a wonderful high gloss finish which makes them really appealing. Choice of print colour available. 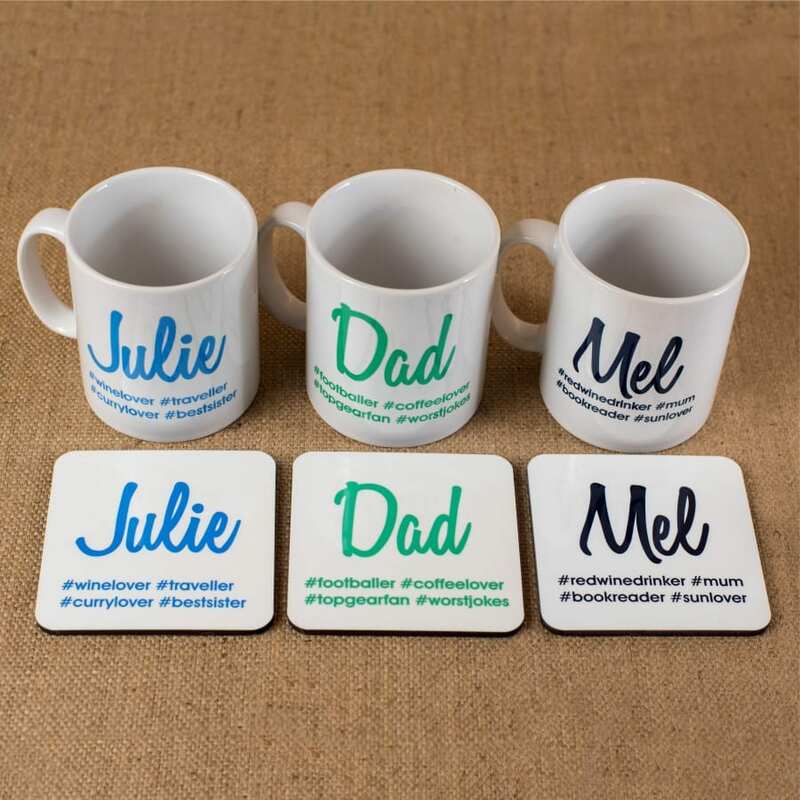 Name it Labels has been designing and printing name labels and personalised gifts since 2002. Printed in our Somerset studio. Order your personalised hash tag coaster today. Matching mug also available.